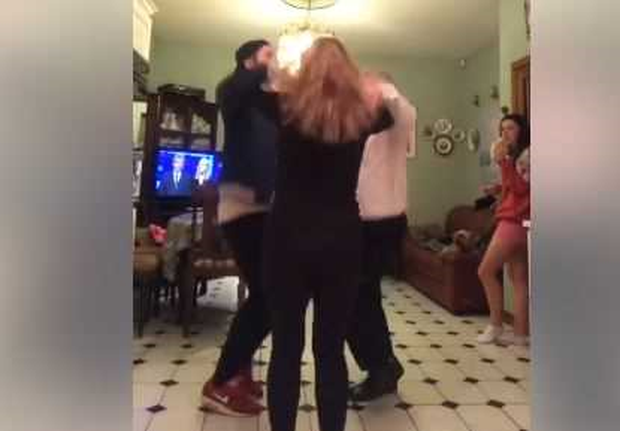 A video of a Kerry family tackling the Triangle Dance is racking up quite a bit of attention online. The Flemings previously went viral back in 2017 with a video of their hilarious reaction when a bat flew into their kitchen. That video earned them a segment on Jimmy Kimmel's show. Their latest video shows them tackling the Triangle Dance, with varying degrees of success, to the tune of Devil's Dance Floor from Flogging Molly. Son Tadhg shared the results on social media and the Facebook post has amassed 1.3m views and 10,000 comments while they're heading for 8,000 views on YouTube. Prepare to see it at every Irish wedding this year.